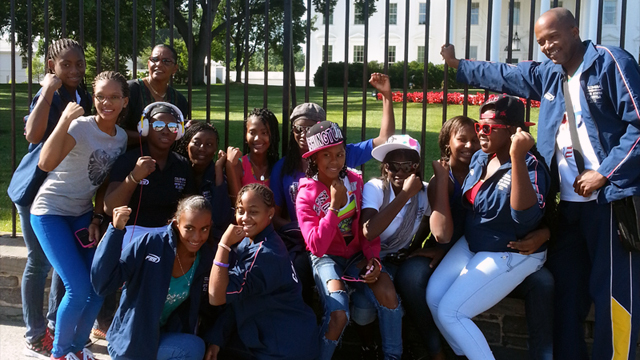 The sports visitors enjoy a moment of reflection at the Jefferson Memorial. 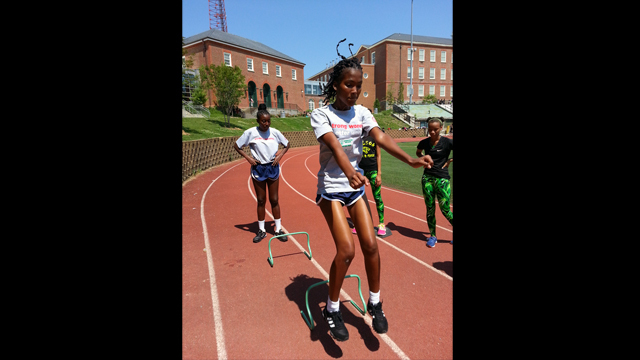 One of the Colombian athletes easily overcomes small hurdles during a warm-up drill at Woodrow Wilson High School in D.C. The sports visitors show that they are “strong women” at a Portland Thorns women’s soccer game. 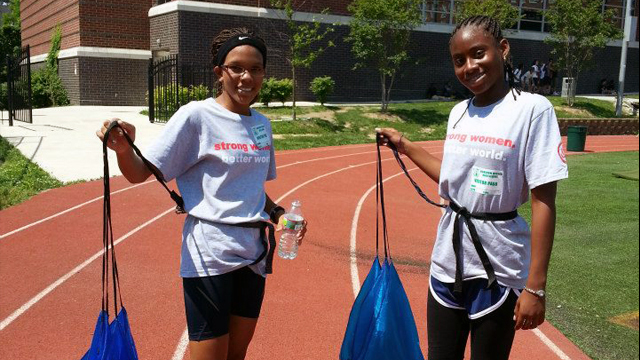 Two of the Colombian sports visitors enjoy their first training with parachutes at a local track practice in D.C.
During their tour of the nation’s capital, the group learned about outstanding American female leaders—including Eleanor Roosevelt. 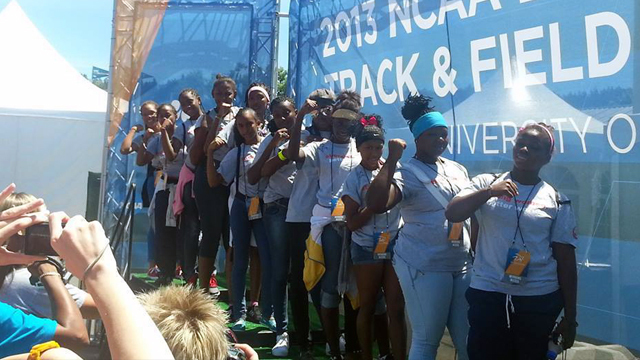 The Colombian delegation unites in enthusiasm for women’s sports at the 2013 NCAA Track and Field Tournament in Oregon. 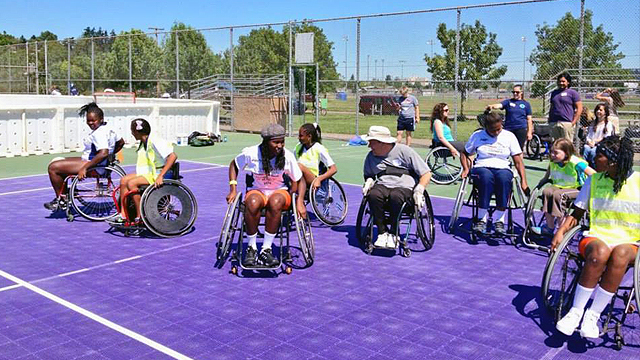 The Colombian visitors learn about disability sports firsthand at Mobility International. 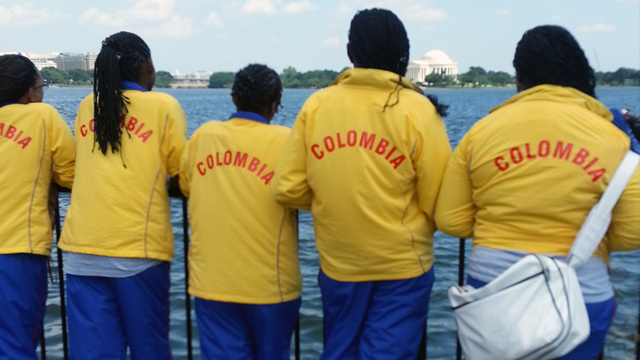 Although they did not know one another before the exchange, the Colombian delegation bonded on their first day in D.C. 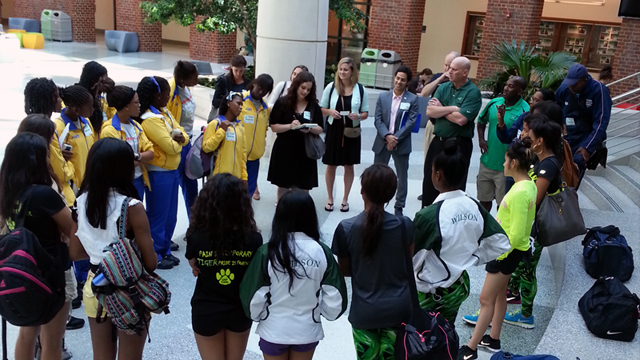 The visitors take part in a meet and greet with American peers at a local high school. 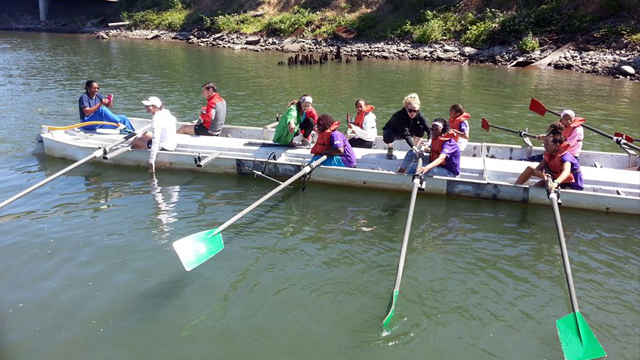 The sports visitors get in sync as they take part in an alternate sport, rowing. 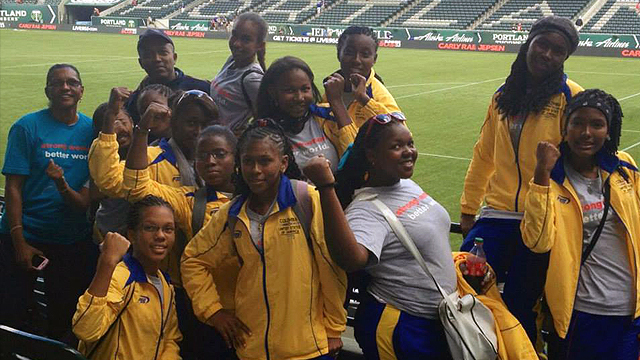 Under the Empowering Women and Girls through Sports Initiative, ECA teamed up with U.S. Embassy Bogota to develop a fast-paced track and field program for Colombian girls. 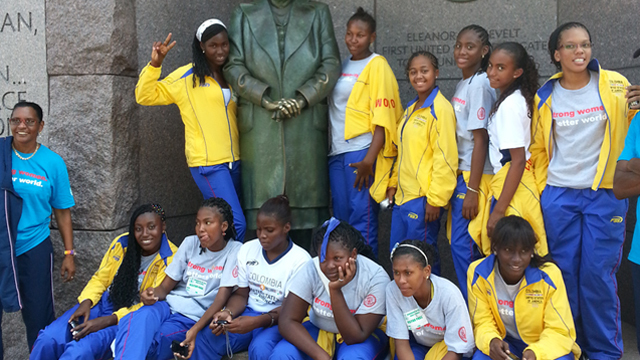 On May 29, twelve teenage girls and two coaches hit the ground running to start a ten day exchange aimed to increase the number of Colombian female participation in athletics. Their journey began in Washington, D.C. where the visitors visited the State Department, toured the capital’s monuments, and made quick friends with their American peers during running clinics and Spanish class at a local school. The second leg of their trip in Oregon, they had an opportunity to attend the NCAA T&F Championship finals as well as take part in activities including a volunteer nature project to a gym session at the University of Oregon. The visitors expressed that one of their favorite activities was an afternoon of adaptive sports at Mobility International. They confirmed their plans to increase the amount of sports opportunities, clubs, and activities for everyone—regardless of gender or disability—upon their return home.